The hotel employs a handful of IoT technologies intended to engage and awe the user, as well as handle all basic duties required to operate a hotel. It is among the first to use facial recognition technology in replacement of room keys. 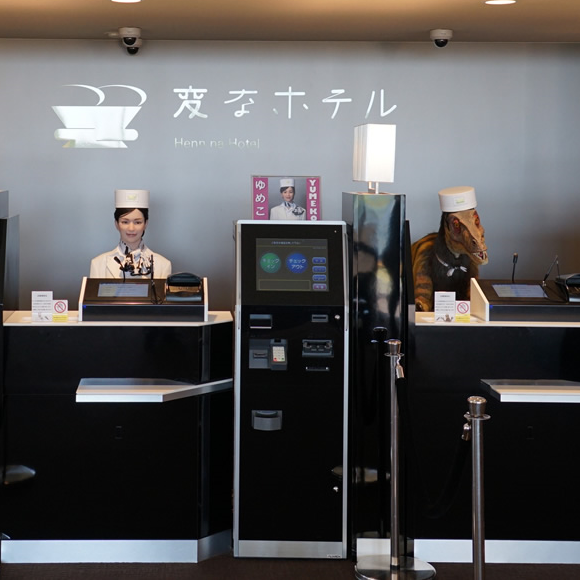 As you enter the hotel you are greeted by a humanoid robot that speaks Japanese and a dinosaur that speaks English. They prompt you to push a button on a touch-panel screen and enter your personal information. Once you’ve been assigned a room, facial recognition software allows you to open your door. If you have any belongings that do not need to be kept inside your room, a large, mechanized arm takes your extra luggage and assigns it to a set of storage lockers, almost making you feel like you’re boarding a spaceship. Porter robots help bring guests luggage to their rooms, and other robots handle basic cleaning duties, such as window-washing and vacuuming rooms. Electricity usage is reduced with the use of motion sensor lights that turn on and off according to your movement throughout the room. The air conditioning system is also sensor-controlled with technology that can detect body heat. Each room includes Tuly, a hotel concierge doll that helps guests find restaurants, recommends events and nearby activities, and tells them the weather. In terms of security, human security officials monitor the hotel, along with security cameras, to ensure the safety of guests. In the future, Sawada would like to include “block-shaped” robots to deliver room service and drones that can fly in small jars of snacks for hotel guests. H.I.S. Co. travel agency has added a second hotel, near Tokyo Disney Resort in Urayasu, Chiba Prefecture, which features 100 rooms and uses about 140 robots. The company expects to open more locations and expand abroad, with the intention to show people that automated hotels can be a budget-friendly alternative for those looking for a no-frills overnight stay. The price for a one-night stay at either of the hotels is around $170 per night. Curious to learn more about robot hospitality? Interested in booking a stay at the Henn-na Hotel? Take a look at the website for more information. Also, check out these robot bartenders on Royal Caribbean's Quantum of the Seas. A key driver for the installation of smart meters is that they allow individuals and businesses to understand how their energy consumption patterns correlate to financial costs and savings. The San Francisco Bay Area city of Alameda, CA, is one of the most recent cities that made the transition to a smart grid system for both residential and commercial customers of its local utility, Alameda Municipal Power (AMP). In March 2017, AMP launched a program entitled, Energy inView, with the aggressive goal of updating existing energy infrastructure to align closer with thresholds outlined in the city’s Climate Action Plan. A primary goal within Alameda’s Climate Action Plan is to decrease the region’s greenhouse gas (GHG) emissions by 15 percent by 2020. A core component to the city’s plan was an overhaul to smart meter technology for the entire city by December 2017. Converting to smart meters encourages individuals to be more proactive in energy, allowing them to be aware of their personal usage of energy in their homes and for commercial purposes in businesses. When individuals see numerical data associated with their daily and long-term energy consumption patterns, they’re more likely to engage in behaviors that lessen their impact on the environment locally and globally, according to AMP officials. 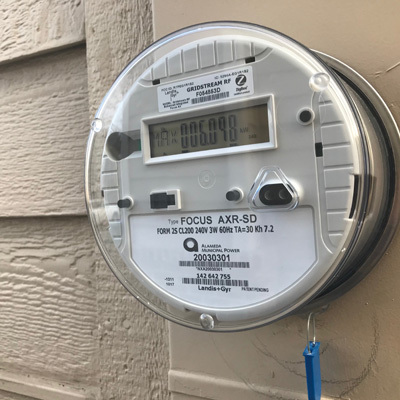 Installation of these smart meters began in spring of 2017, and the city chose solution provider Professional Meters Inc., (PMI) based in Morris, IL, to replace existing analog meters that had been the norm in Alameda for the past 60-plus years. The smart meter project was funded through capital improvement monies originating from the sale of AMP renewable energy credits. The new smart meters provide two-way communication between AMP and customers, allowing for accessible data and transparency about energy consumption for both parties. AMP’s meters use a low-powered RF, which operates in the 902-928MHz frequency. Greenhouse gas reduction. Data from smart meters is directly sent wirelessly to AMP. Since AMP no longer drives to houses or businesses to collect data from every meter, the city will experience a decrease in vehicle-originated GHGs. Faster outage response. Data is automatically sent to AMP when a power outage occurs, which means power can be restored sooner. Potential new rate options. New smart meter technology provides AMP the opportunity to give customers new rate options in the future. Deployment of mobile options and account management tools for customers. AMP is in the process of developing mechanisms to be used for mobile payment options. The customer can receive text notifications about payment due dates and up-to-date energy usage per hour. To facilitate adoption in the community, AMP released instructions to residents that describe how to read the new smart meter. It outlines the information and data fields that are captured and sent to AMP. Since these smart meters will collect and store more data per customer than the former infrastructure did, AMP wanted to ensure that customers’ information and usage data is secure. AMP has publicly stated that these smart meters contain the same encryption technology used by ATM machines and Internet banking sites. No customer-identifying information—such as names and addresses—is stored in the meters or transmitted across the network. Data for customers’ energy usage will be transmitted to AMP through a wireless network comprised of several layers of security. AMP also confirmed that they collaborate directly with federal agencies, including the Department of Homeland Security, to stay up-to-date for security and privacy standards. Learn more about PMI’s process to manage and track smart meter change out programs, including its data repository and proprietary Installation Tracking System, PMI-ITS. Get the details of Alameda Municipal Power’s Energy inView smart technology program. 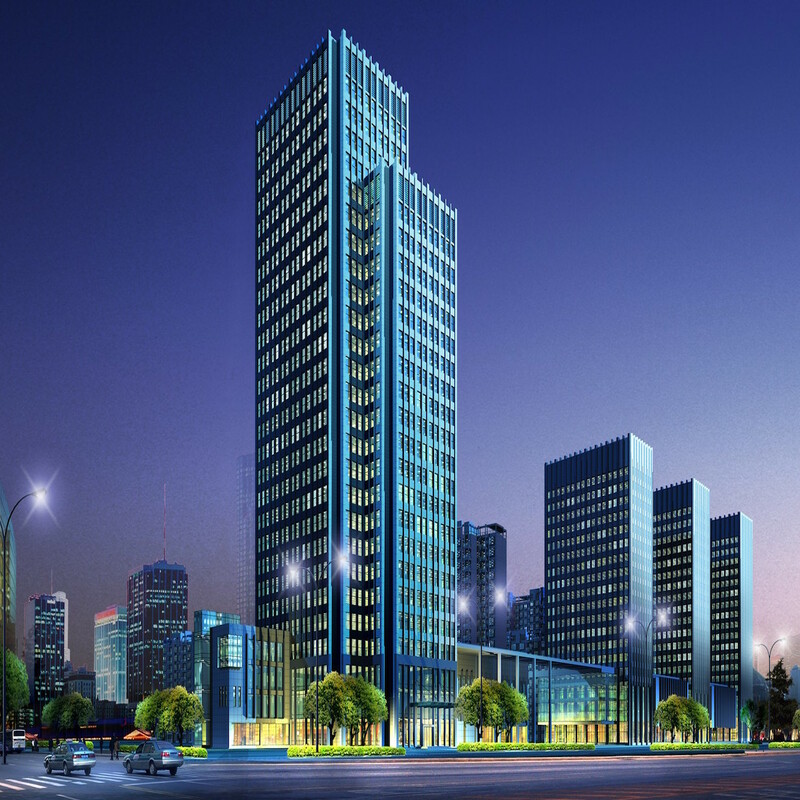 See smart building solutions based on Intel IoT technologies which show property systems in real-time conditions, enabling site management, control of costs and energy use, and the ability to increase employee comfort and safety. 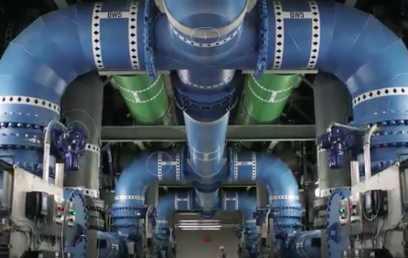 See how a smart building IoT example helps get a water drop to the fourteenth floor while preventing a costly catastrophe along the way, with Internet of Things solutions built with Intel technology that help maintain and manage your business. The local gym is moving from dumbbells to smart tools, as fitness clubs are starting to drastically modify their offerings to accommodate the changing workout landscape. The necessities of increasing efficiency and providing a better user experience are clear to business owners, and the tools to do so are at their fingertips. One solution provider, Advantech based in Milpitas, CA, is focused on using embedded technology for better training at the gym. A leader in innovative embedded and automation products and solutions, Advantech offers a handful of IoT and connected devices that maximize the fitness center experience. From biometric member check-in to workout equipment that automatically calibrates to a user’s personal strength capabilities, the gym of the future will have the technology to push fitness training to an elite new level. Web access and indoor air quality (IAQ) monitoring: WebAccess+IAQ visualizes air information collected by sensors, making indoor air quality management easier. With powerful database management capabilities, fitness centers can create air quality analysis reports, reduce personnel costs and contribute to achieving a healthy exercise environment. These tools help to ensure public health and safety and maintain consistent energy efficiency. Interactive multimedia broadcast system: An interactive multimedia system offers the option for customized content, advertisements and new offers. Queuing status can be updated, and the fitness centers can display media on digital terminals or multi-display video walls, depending upon the needs at each location. Beyond these smart gym solutions, Advantech offers digital signage applications, including multi-functional all-in-one touch computers and media platforms. Each supports a multitude of media types, including interactive apps, Internet, TV and videos. Individual display terminals have the capability of being controlled, backed up and restored remotely. Fitness center self-service system: To improve customer experience by decreasing wait times at service counters, a self-service system allows members to use a membership card to access their online account, workout schedule, register for classes and send payments. Members have more control over their exercise routines, and business owners can streamline operations and improve service levels. Another benefit involves membership data that the system collects. Owners can use this data to develop customized loyalty programs aligned with the needs of every member. The self-service terminals provide information via the interactive digital signage displays. Embedded systems: Supporting multiple applications, Advantech’s multifunctional all-in-one touch computers include several functions, including self check-in, loyalty programs, entertainment and smart training programs. Members can track their fitness progress while having access to customizable music and video content, keeping them engaged and entertained while exercising. An added benefit is the diverse set of available peripheral systems, allowing owners to enhance their services. Bar code scanners, or NFC (RFID) readers, allow members to register for classes online or check-in using their membership card. These embedded systems help to increase attendance, while improving the overall exercise experience. Advantech notes that consumer expectations around fitness consoles are shaped by the interactive experiences delivered by smart tablets and smart phones. A healthy 76 percent of fitness club members bring a mobile device with them, according to a report by Health Strategy Solutions. 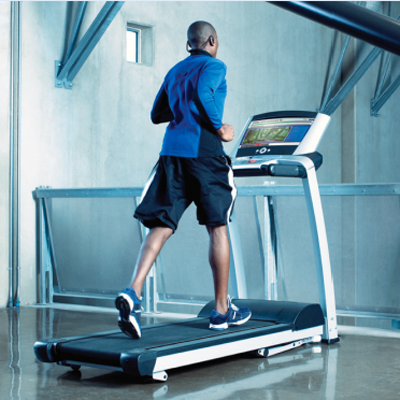 With this in mind, cardio equipment manufacturers must design in-fitness consoles that provide high-quality audio and video, offer connectivity to mobile devices and integration to consumer applications. In response to these demands, Intel, Advantech and Wind River have joined forces to create the Diamond Field fitness console. Built by Advantech and powered by the Intel Atom™ processor N2930, the console features integrated Android OS software support from Wind River. With a standard, open-frame platform, it delivers performance, low power, robust connectivity and OS support for Windows, Linux and Android. A connected stand-alone device, the console provides users with access to entertainment, social media and training applications. Take a deeper look at the Advantech fitness experience. Check out Intel architecture solutions for fitness devices. Watch this short video about the gym of the future. Hotel companies are always trying to move one step ahead of the competition by creating the most comfortable room experience possible for the leisure and business traveler. In the newest wave of room improvements, Marriott International teamed up with Samsung and Legrand to create the hospitality industry’s Internet of Things hotel room. Described by Marriott as “the ultimate hotel experience of the future,” the new prototype room features services such as a yoga routine directed by a mirror and a shower that can automatically set the temperature to the traveler’s preferences. 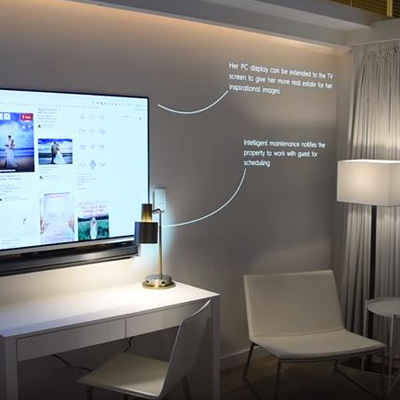 Dubbed the IoT Guestroom Lab, the concept room is powered by Marriott’s Innovation Lab and is built at the company’s corporate headquarters in Bethesda, MD. The goal of the project is to explore concepts that have the potential to elevate the guest experience and create more efficient hotel room design and construction. As a “smart” hotel room, the Lab will facilitate several communications networks and multiple responsive IoT systems, devices and applications to communicate with one another to serve guests’ needs and optimize hotel operations. "Guests expect to personalize almost everything in their lives, and their hotel experience should be no different," said Stephanie Linnartz, global chief commercial officer, Marriott International, in a recent statement. "By teaming with best-in-class partners, we are leveraging mobile and voice-enabled technology to give our guests the ability to set up the room to best meets their needs—whether that is creating the ultimate relaxation environment or one that enables productivity for business travelers." One of the partners in the project, Legrand, is a French industrial solution provider that specializes in electrical and digital building infrastructure technology. According to the company website, Legrand focuses on solutions that bring power, light and data to interior spaces, aiming to transform the customer experience. “Legrand is partnering with Marriott to improve the guest experience in a cost-effective and intuitive manner. This work supports our Eliot Program in North America, Legrand’s global IoT program that drives product innovation and fosters our partnerships in the IoT space,” said Ken Freeman, senior vice president of demand creation, Legrand, in a recent statement. Using IoT technology, Marriott wants to give hotel owners a seamless, transparent and flexible end-to-end solution that requires minimal equipment. The tech-infused rooms provide customers with an integrated experience, with access to their own data and information, as well as accessible voice- and mobile-optimized controls. These systems would also benefit hotel operations and improve personalized service. A virtual assistant that can arrange wake-up calls, request hotel services or direct devices in the room through an app or voice command. Personal preferences, where guests can register preferences such as temperature settings for showers and instruct the virtual assistant to turn on the water. In-room tablets that function as room remote controls and offer quick access to hotel services, room service menus or spa reservations. Digital mirrors or large screens that display a yoga or stretching routine, news, headlines, local weather and other useful information. Digital wall art that can change to meet traveler preferences. Following the three-month testing and evaluation of IoT Guestroom Lab, Marriott, Samsung and Legrand will analyze feedback to continue innovating with IoT technology. Consumers will start to see elements of the technology in hotel rooms within the next five years, according to Marriott. Watch the video to see the layers of technology and networks that will be put into play in the Marriott International IoT Guestroom. Learn more about interior IoT and smart digital lighting solutions from Legrand.